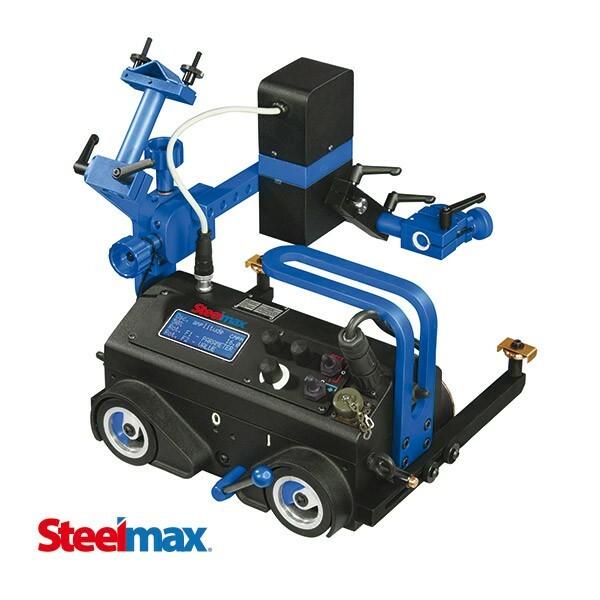 The Steelmax® Arc Runner is a portable, programmable welding carriage designed to produce consistent, high-quality welds. 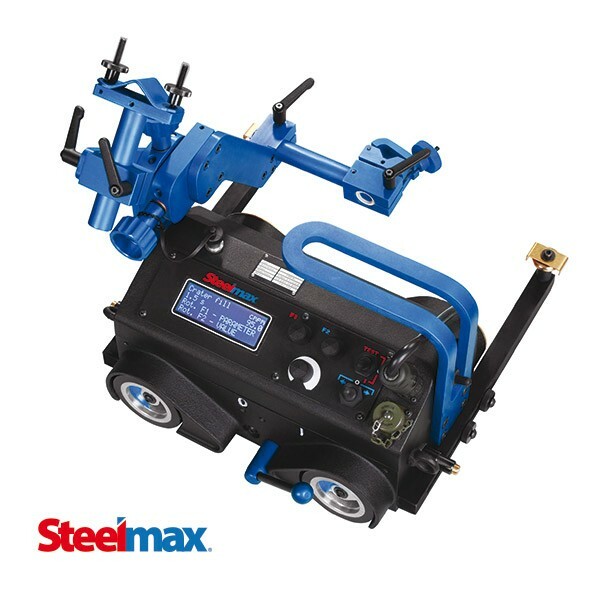 The powerful magnetic base and closed loop electronic speed control provide speed stabilization in all positions. 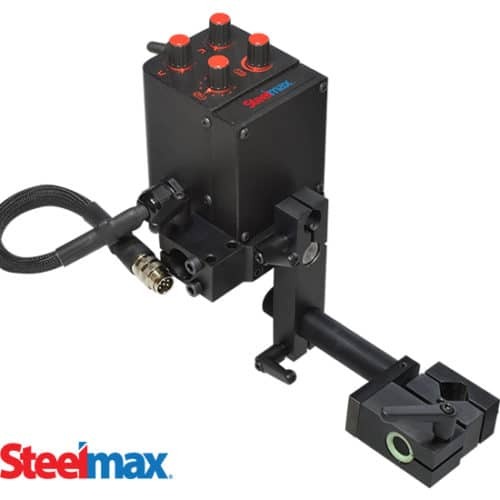 The unit enables weld bead geometry that is exact to the required specifications, substantially reducing costly over welding and decreasing filler metal usage. 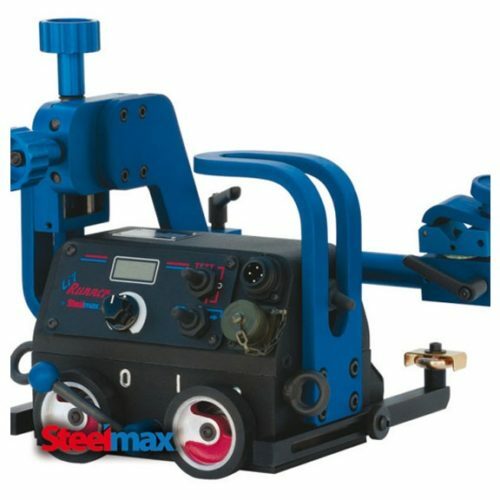 The Arc Runner can be programmed in continuous or stitch welding modes. 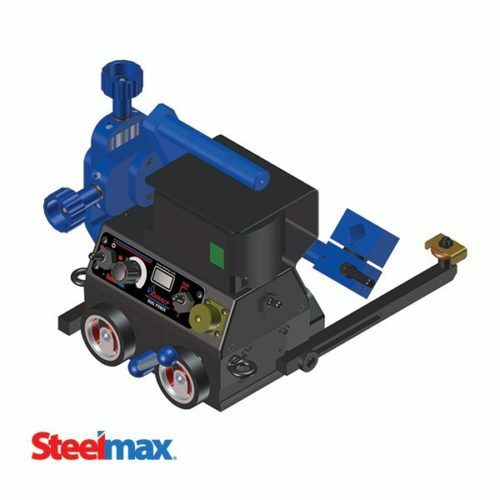 Two easy-to-use function buttons enable programming of weld length, distance between welds, reverse fill, crater fill time and other required patterns and parameters. 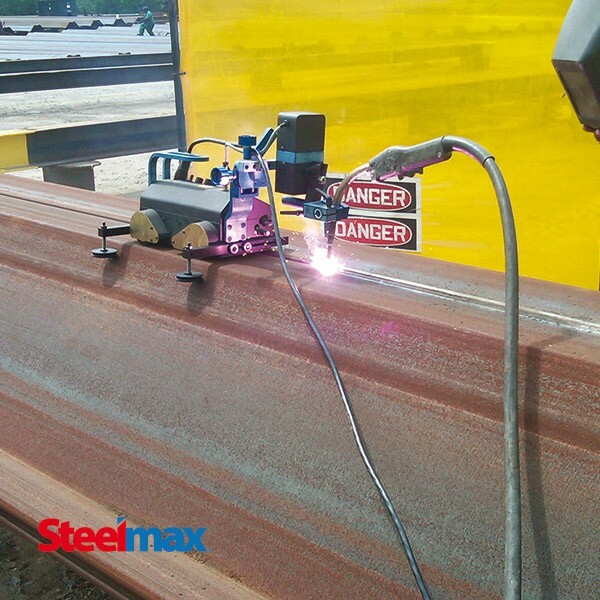 The Arc Runner travels at full speed between stitches, which saves valuable welding time. 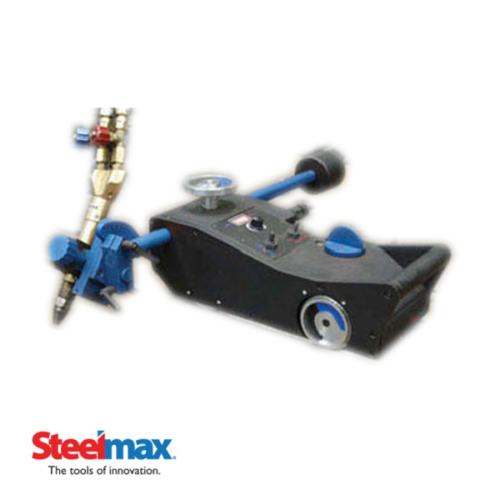 An optional pendulum torch oscillator is available for the Arc Runner to produce weave welds. 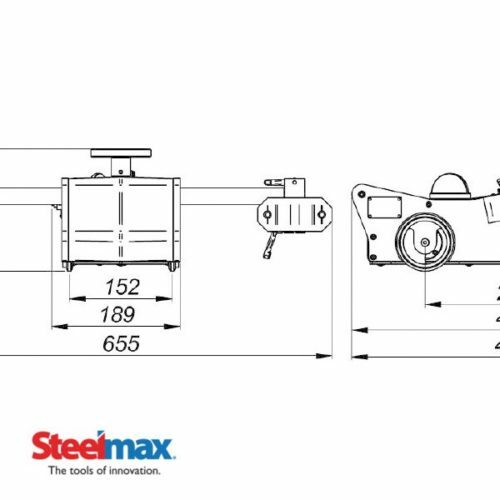 The oscillator allows for precise control of weave width, weave speed and left/right side wall dwell. 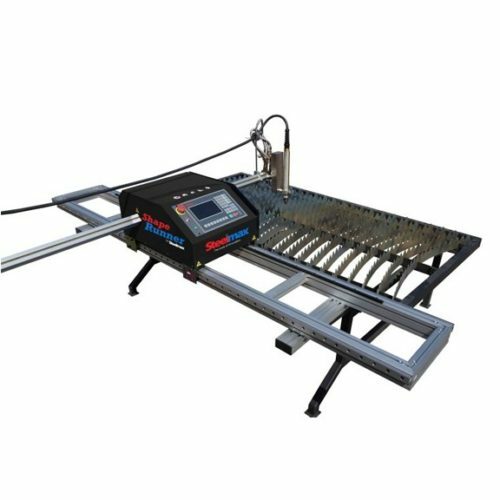 Arc Runner’s micro processor allows for development, storage and reproduction of up to 40 different welding programs for various joint configurations and multi-pass, multi-layer welds. 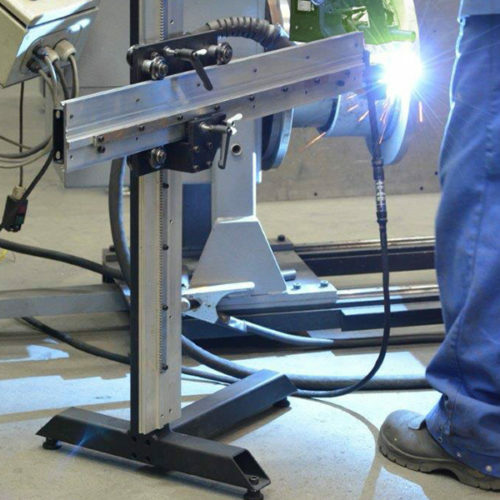 Once an optimum weld procedure is developed, stored and programmed, Arc Runner will repeat it over and over again.